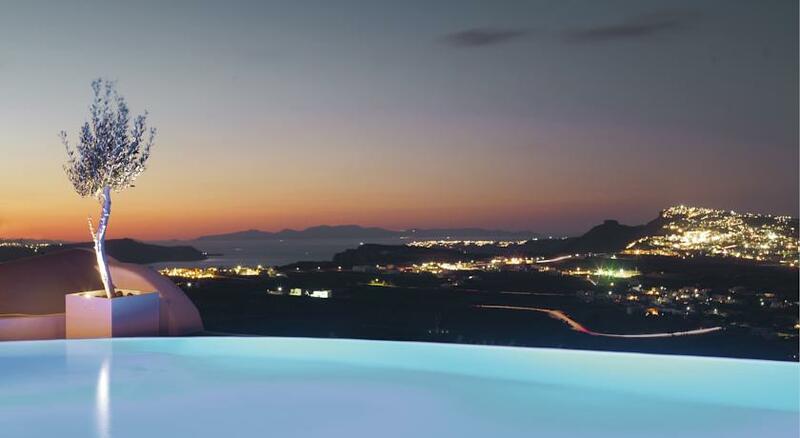 If one is dreaming of romantic holidays in airy, spacious, exclusive, luxury suites in Santorini with their own private pool, then one is probably dreaming of Carpe Diem all-suites Hotel. 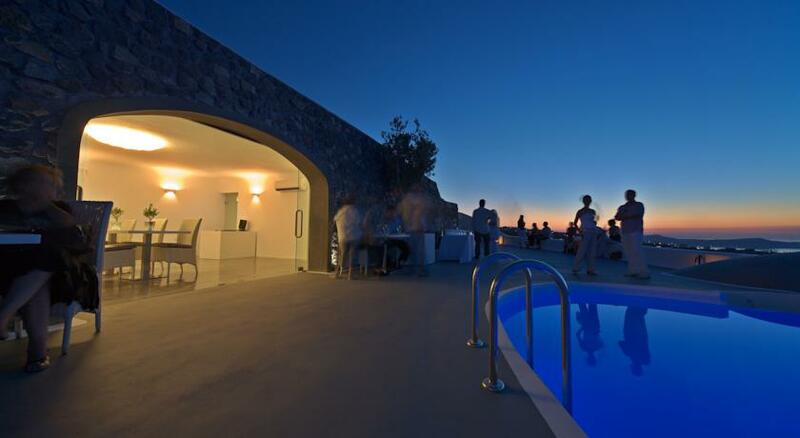 Carpe Diem accommodation in Pyrgos Santorini, unfolds ten suites with private pool, panoramic view and indulges powdered in luxury. 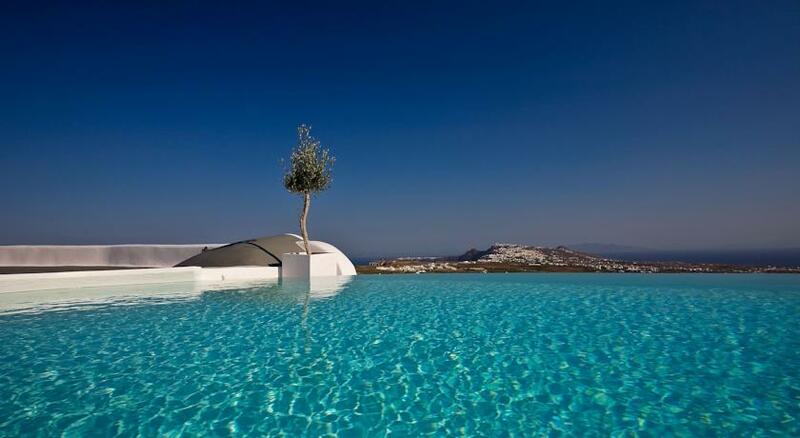 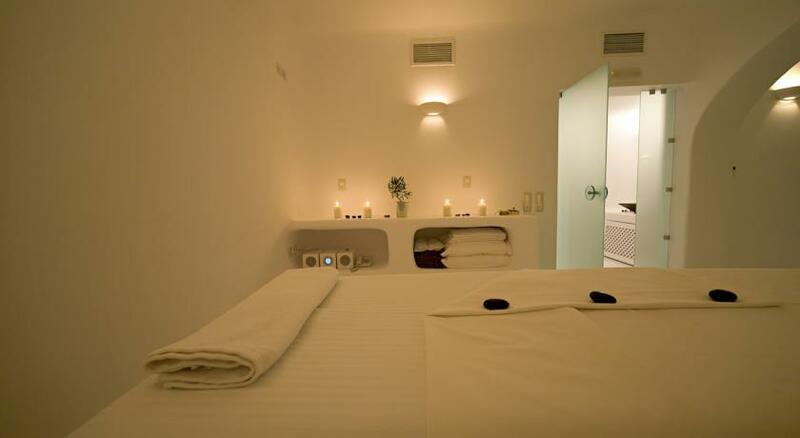 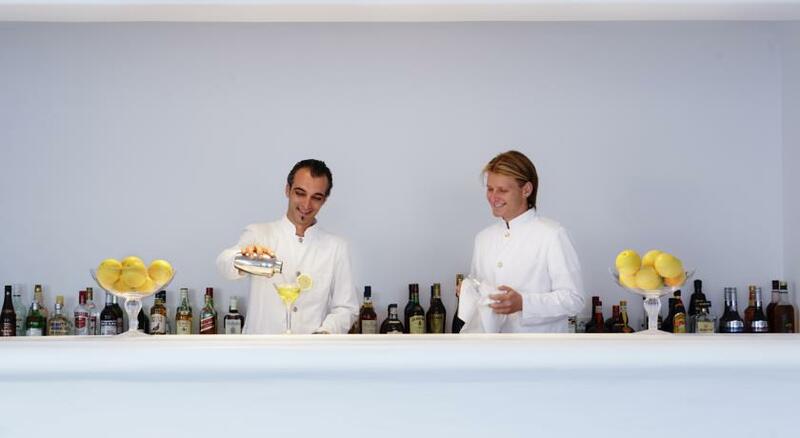 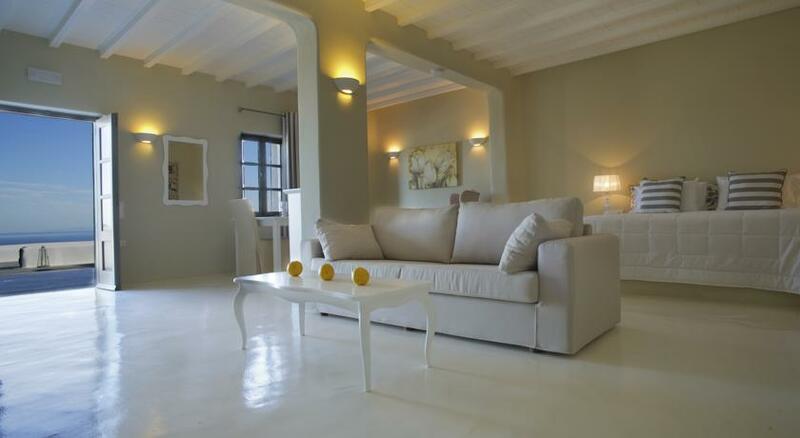 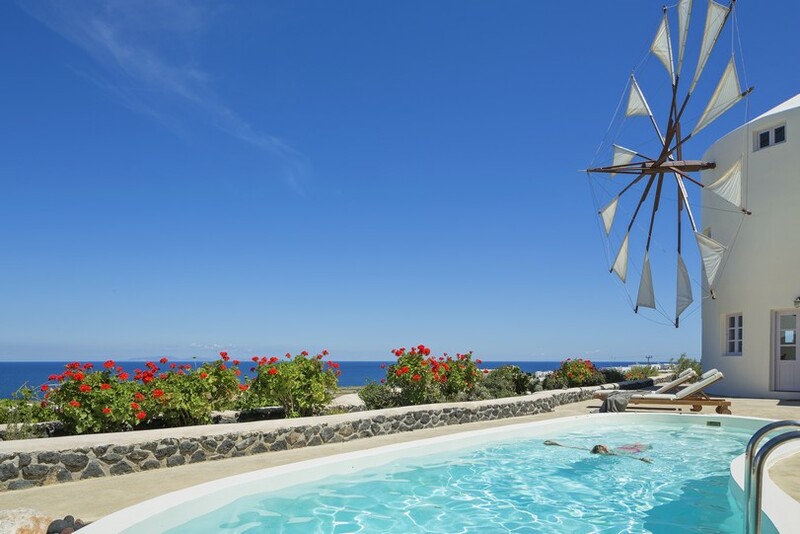 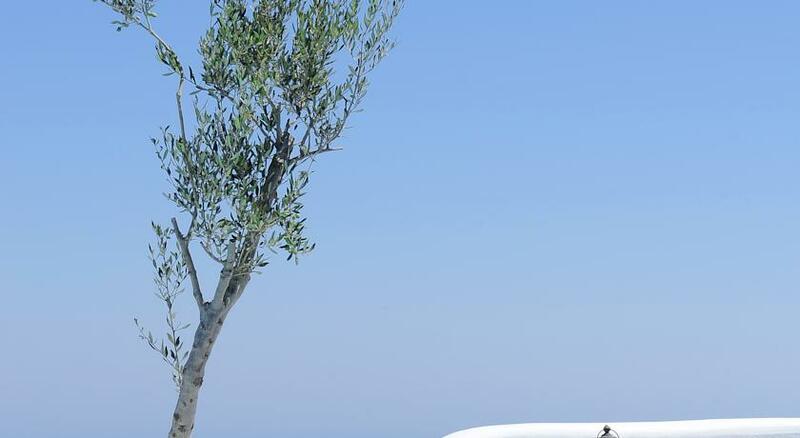 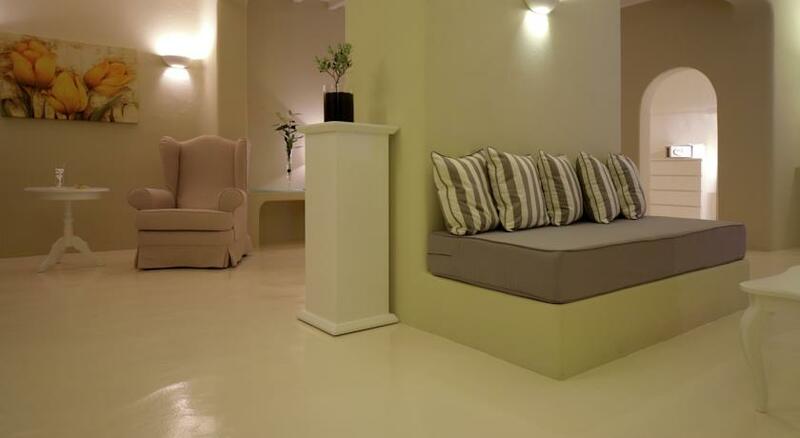 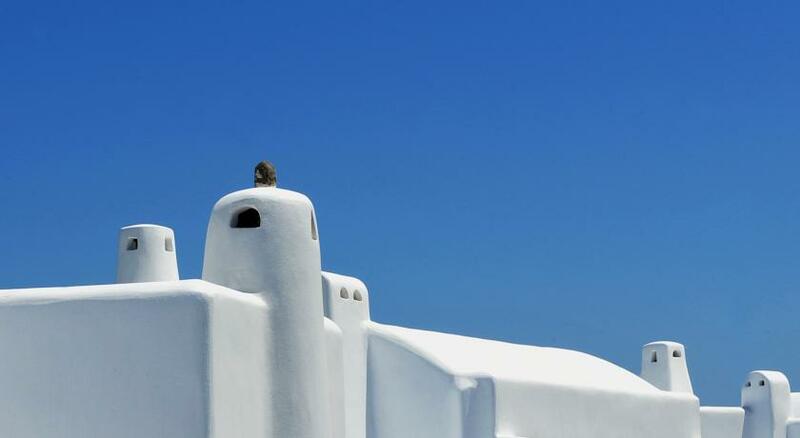 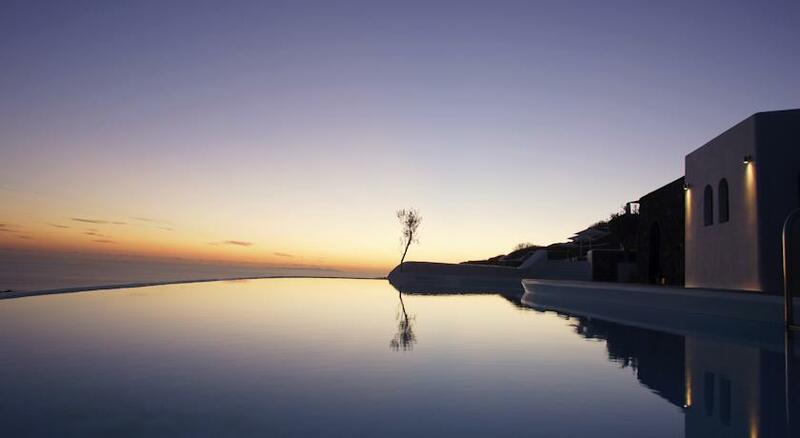 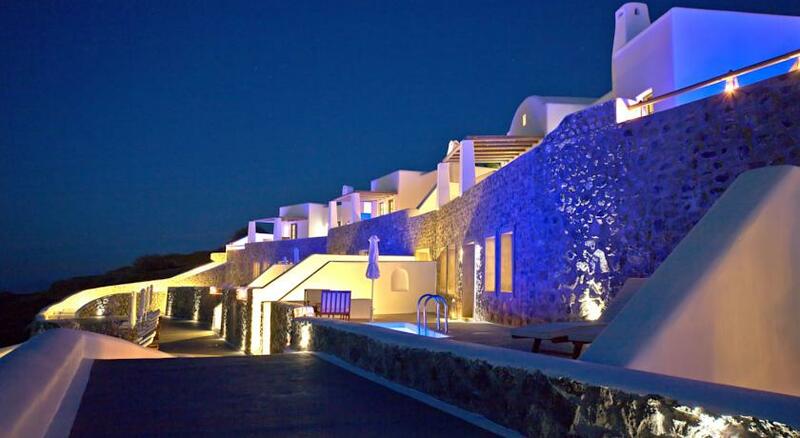 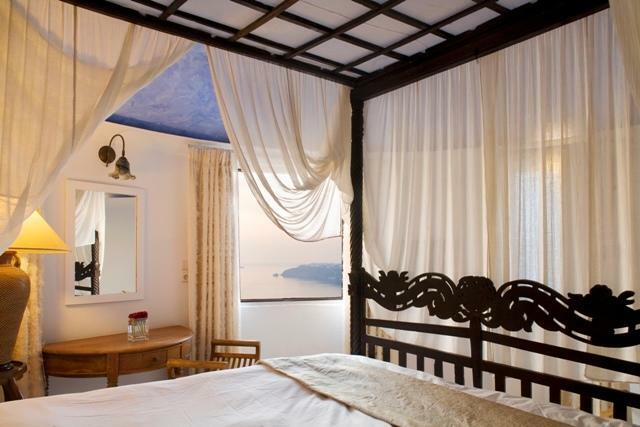 This honeymoon Hotel of Cyclades, due to its privileged location in Pyrgos, is a hidden retreat with so much to broach. 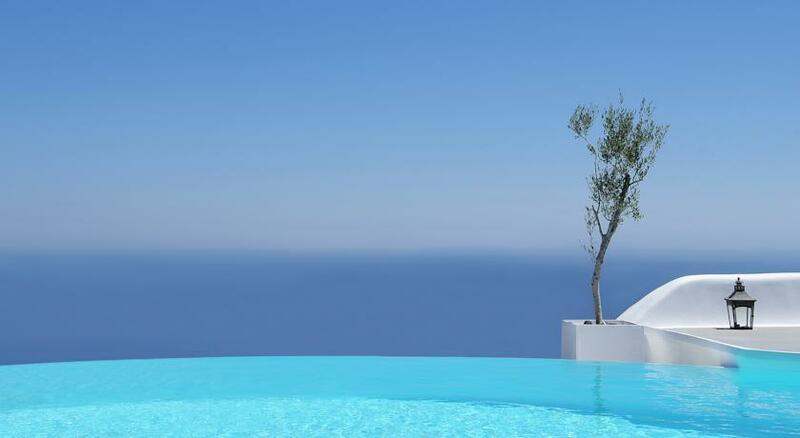 Every single suite is exclusively accessorized with private pool for couples that wish for privacy and seclusion in Santorini. 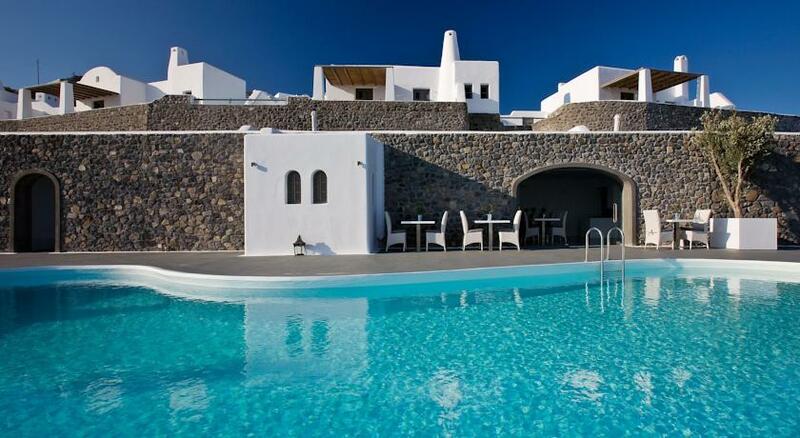 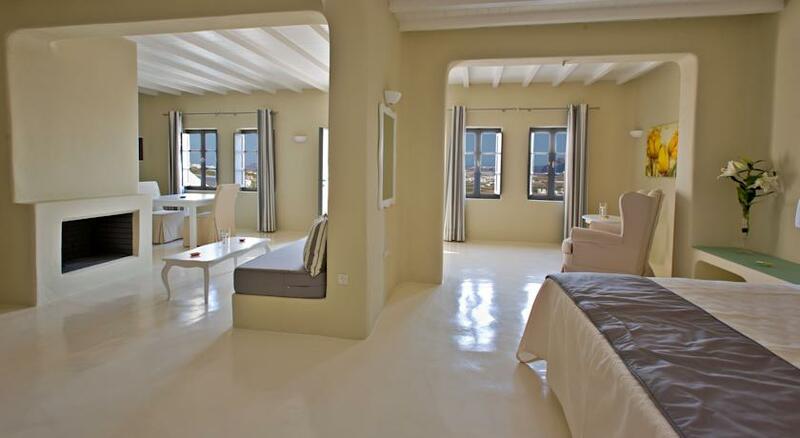 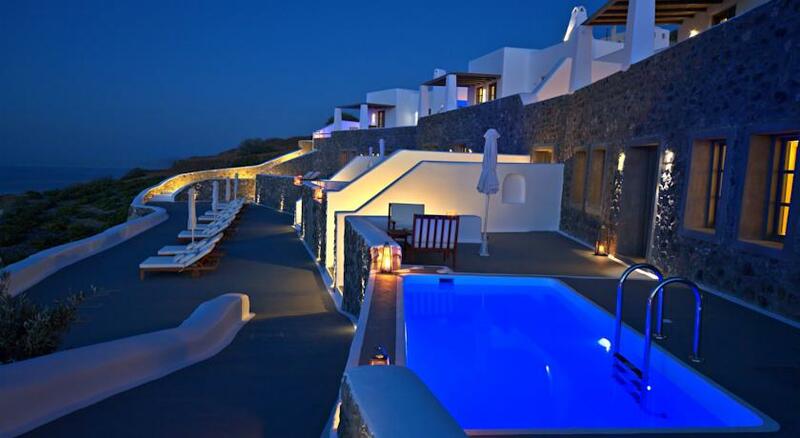 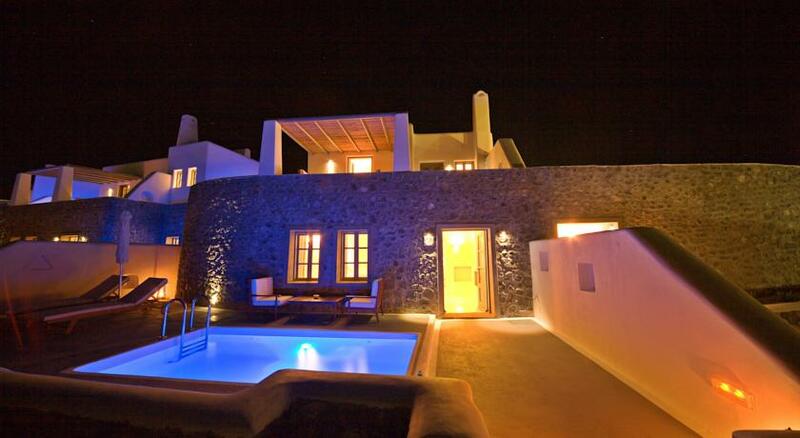 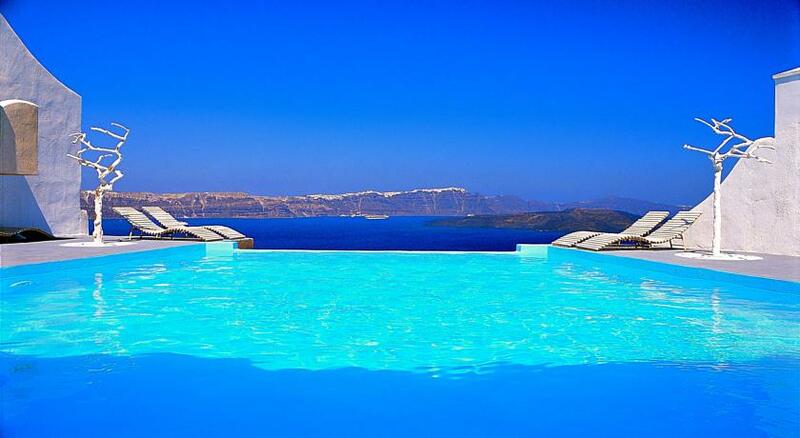 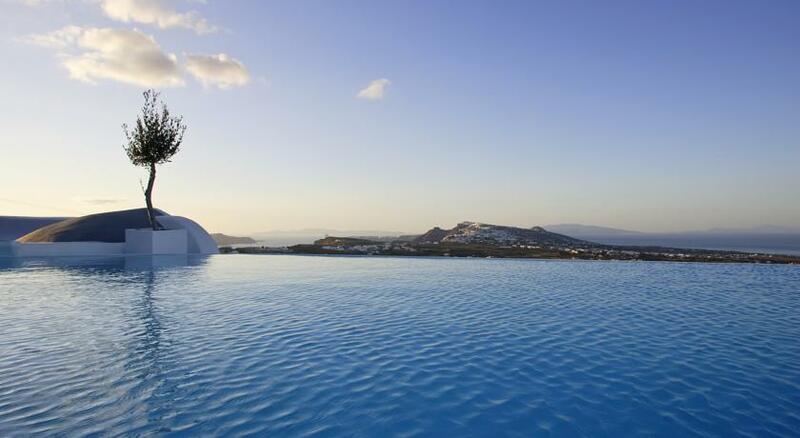 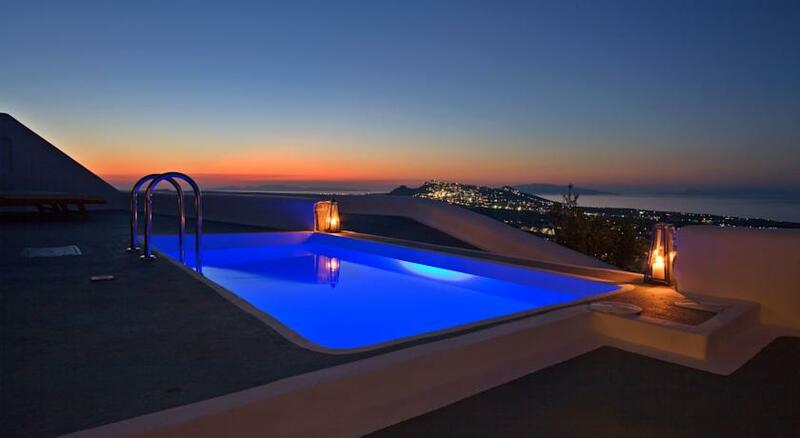 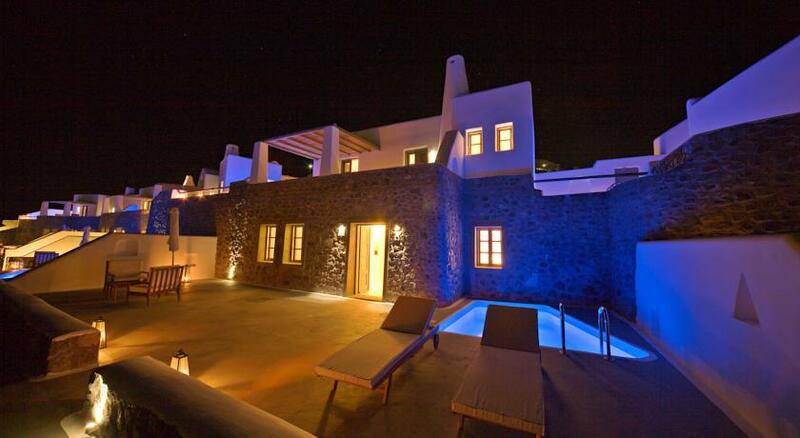 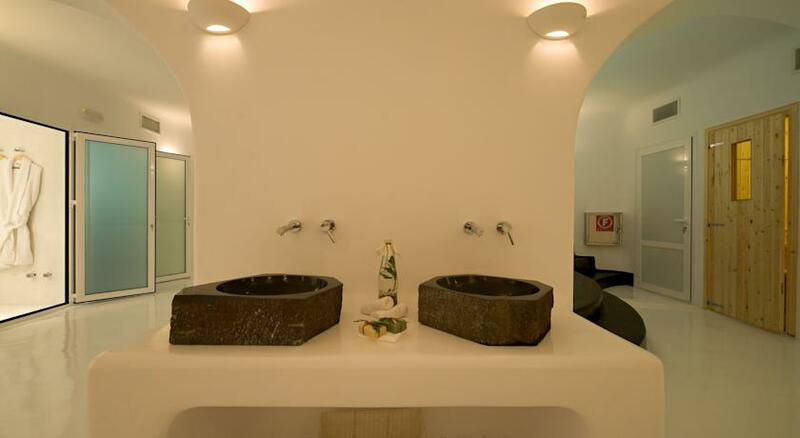 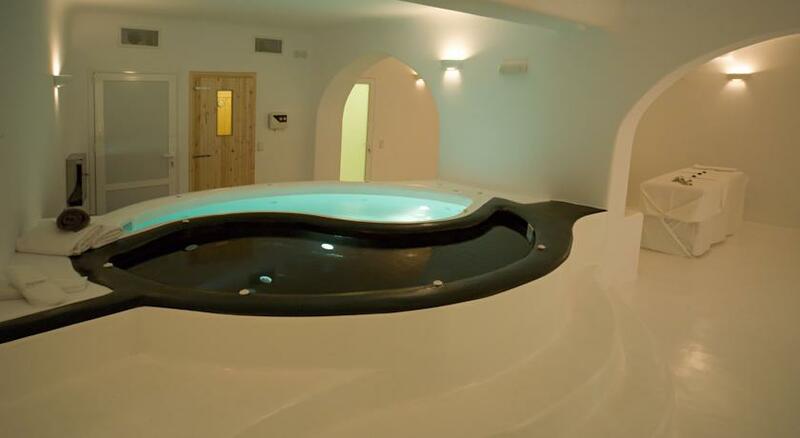 Carpe Diem luxury suites in Santorini for couples also features a main pool as well, apart for the suites’ private pools. 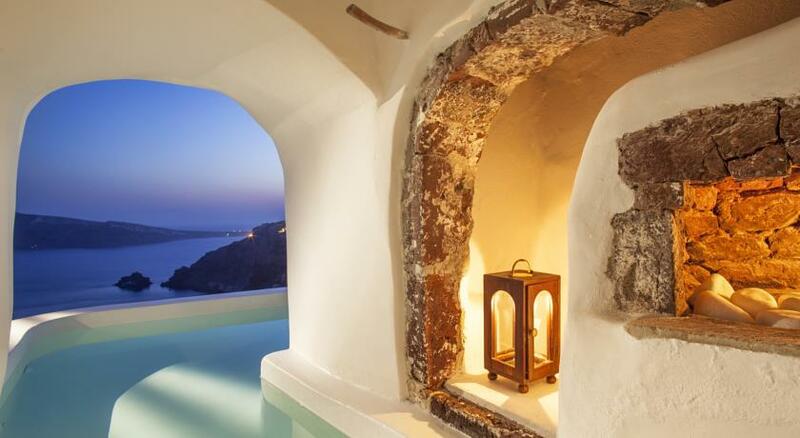 Few hotels in Santorini can offer the view that Carpe Diem boasts: the Island surrounded by the sea seen at once on both sides. 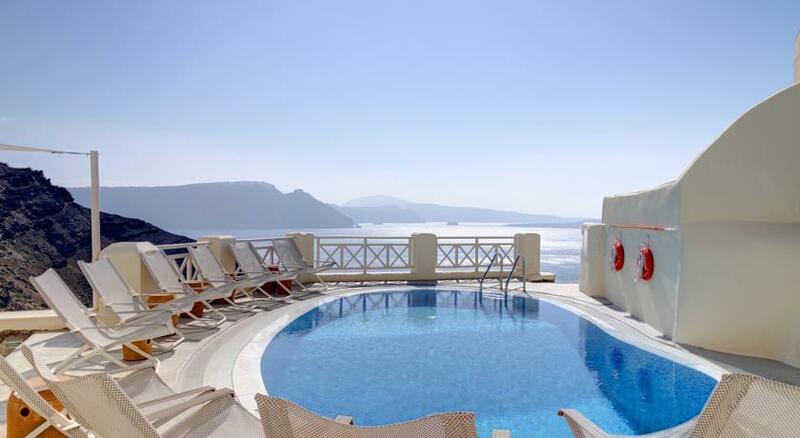 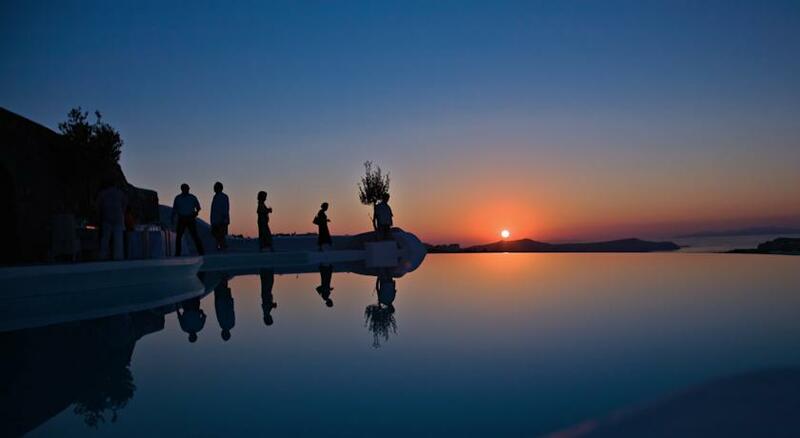 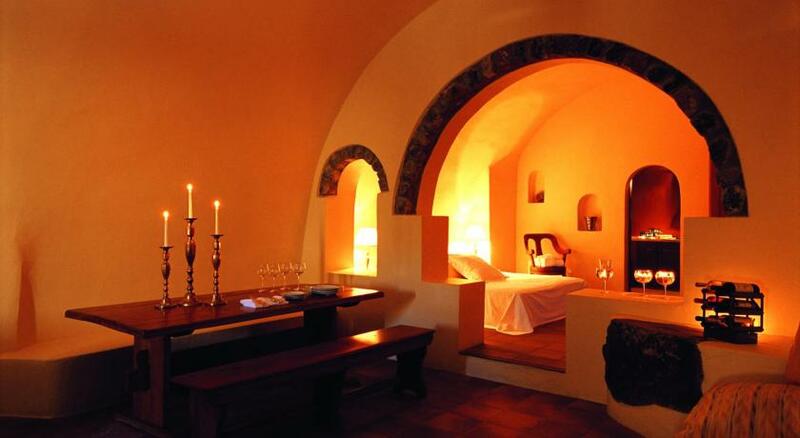 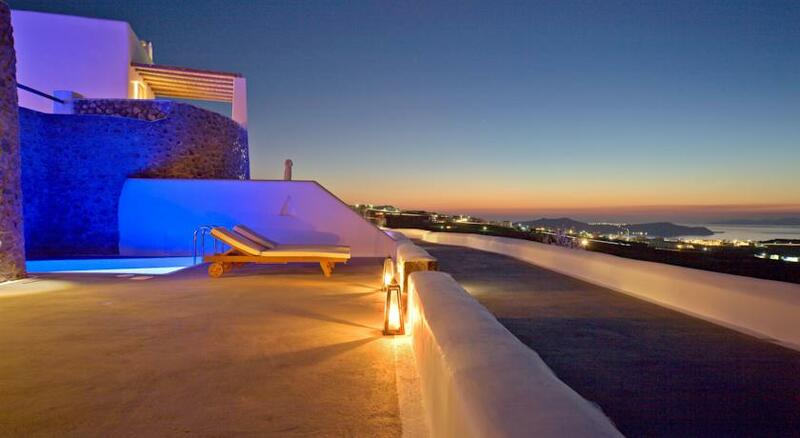 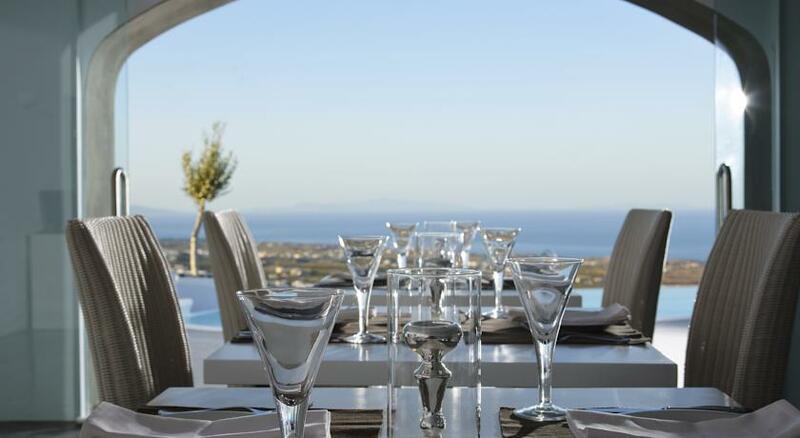 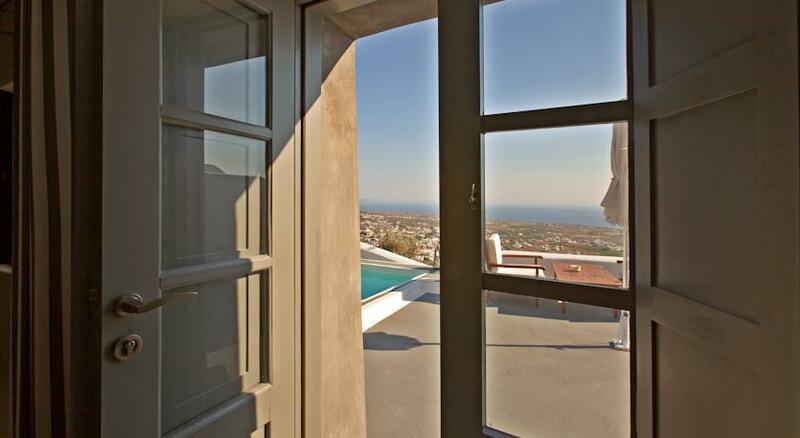 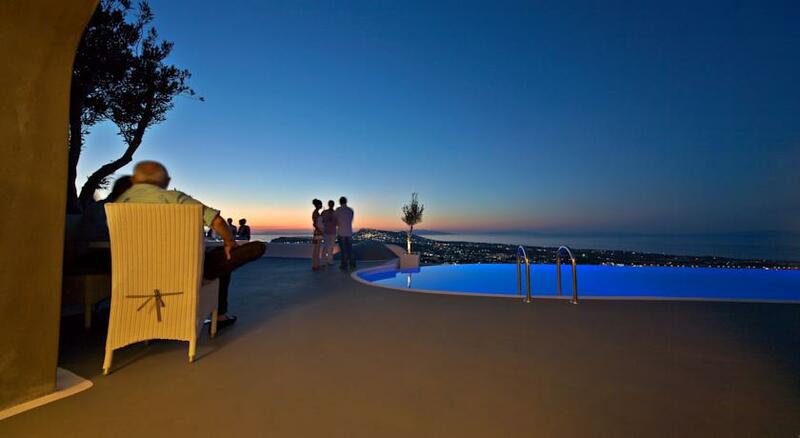 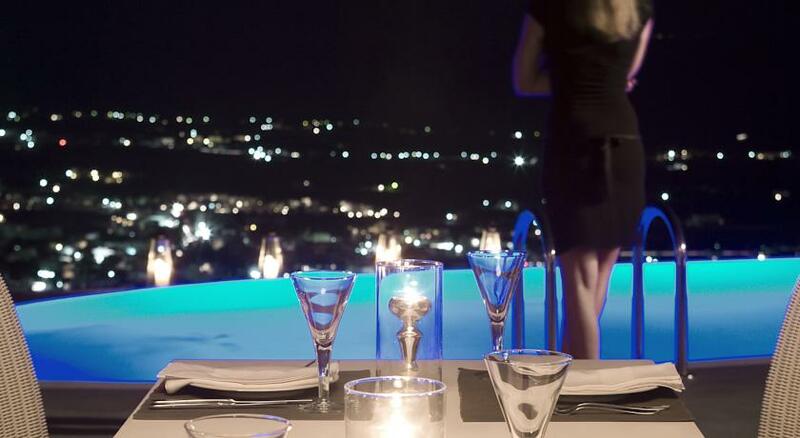 All Suites have sunset and volcano view to the West, as well as sunrise and open Aegean Sea view to the East. 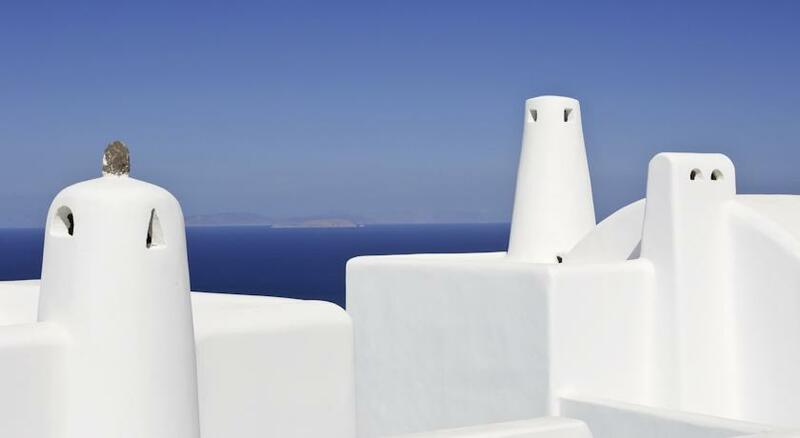 Up on the hilltop, the Medieval Castle of Pyrgos village rests with a sunrise spectacle relished by romantic early birds. 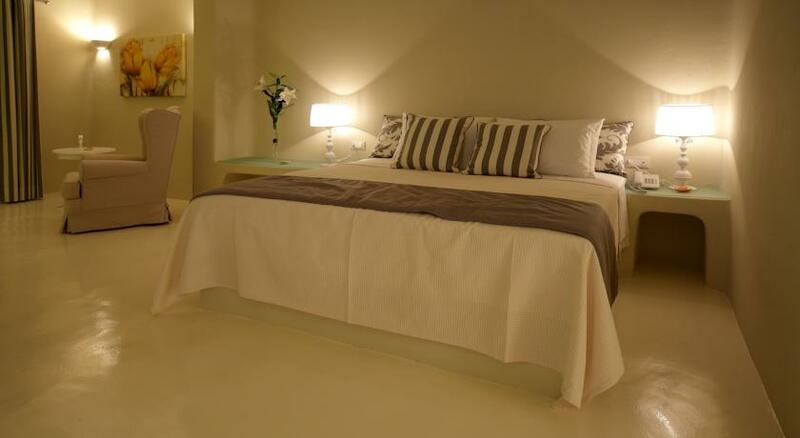 All Suites are complimented with luxury bath amenities, bathrobes, slippers, feather pillows and duvets. 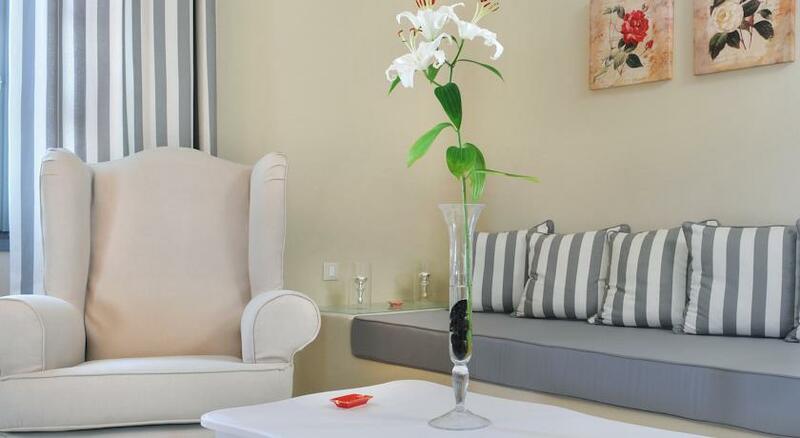 Other suite amenities include air-conditioning; satellite TV, individual CD/DVD player, dock station for music of your choice, direct dial phone, in-room safe deposit boxes, mini bar and hairdryer.